You are a spiritual being having a human experience. Day to day life can occlude this fundamental reality. Perhaps the political landscape, a strained relationship or other personal concern has fostered a sense of being different than your fellow human. Eye gazing allows you to connect at the soul level with yourself or another person, revealing information indicative of the law of one. The practice also develops your shamanic sight as a tracker, cultivates intimacy and strengthens psychic channels. In a darkened room, place a candle just outside of your peripheral vision. Ideally, there is just enough soft, diffuse light to see details of the face and not your surroundings. Position yourself 1-3 feet away from the face you are tracking (or large mirror to track yourself). Remove distractions and sit comfortably. Look into the left eye and relax your gaze. Over the next several minutes, your perception of the face will shift in change. Be patient as each level of awareness arises and transitions to the next. Some images and impressions may be more prevalent / stronger impulses than others – do not scrutinize – simply observe. The face may change in age, gender or race. It may appear to shift into that of an animal or other life form. It’s important to stay calm and not grasp for these changes. When you are done gazing, you will have all the time you like to unpack the experience and explore interpretations. The changes you observe may be past lives, power animals, spirit guides and allies, guardian angels, et al. The stream of changes to the face typically settles on one image. Allow this image to reveal its message – who, when, where, etc. Listen to the impressions and feelings that accompany the visual information. They are all pieces of the trail you are tracking. If your eyes get tired or the images go dark, close your eyes and focus on your breath. 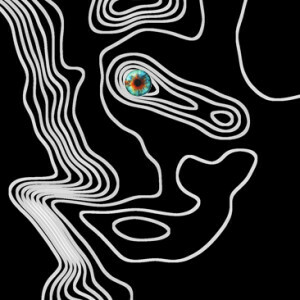 Much like meditation, eye gazing takes practice to be able to track energy for more than just a few minutes. Follow your intuition and don’t force the process. 3-5 minutes is a good time frame for starting out. At some point, the images will start over or stop – your eye gazing is complete at that point. A cold start to eye gazing, especially as a novice, is probably going to be frustrating. Fortunately, there are some preparatory steps and activities that will support your healing process. The physical body and the 5 senses are still the primary way in which the spiritual body interacts with the environment. Instead of shunning the physical body in favor of spiritual methods, I believe in embracing our 3D mechanisms and fine-tuning its sensitivities. Aromatherapy from essential oils like clary sage and sandalwood create very quick changes to your physiology – like functioning of neurotransmitters and hormones. I also recommend flower essences – Angel’s Trumpet & Mugwort – to assist with healing vibrations conducive to deep spiritual work. A high-quality, natural product from these plants is important. An adulterated substance may smell the same, but can not produce the specific chemical changes desired for this healing work. In fact, an herbal tea or soak in the tub can also nurture the body prior to eye gazing. 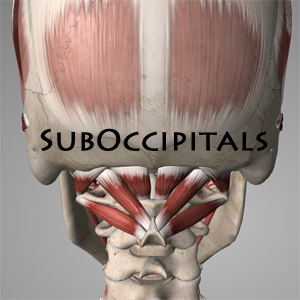 Self-massage the suboccipital muscles at the base of your skull using your thumbs or first fingers. These small muscles are connected to movements of the eyes. The rest of the spinal muscles receive nerve signals from the suboccipitals & visual cortex, allowing for efficient movements in the body. For example, when your eyes look to the right, these muscles quickly move your skull to the right. The suboccipitals become conditioned to stress patterns like any other soft tissue in the body. Light massage will help them to release these holding patterns. I also recommend exercises for the eyeballs to release holding patterns in the musculature of the orbits. Close your eyes, and without moving your head, move your eyes from left to right, up to down, upper left to lower right, and upper right to lower left. You can also rotate the eyes in a circle to the left and to the right several times. Rest with a neutral gaze, eyes closed for several breaths. Some people also find it helpful to tap over the heart and the third eye chakras on the physical body. You can read more about benefits of tapping here with the Emotional Freedom Technique (EFT). Tapping sends percussive energy waves to clear any stuck or stagnate energy around these nerve ganglia in these areas and improve sensitivities. You should also consider setting sacred space for the duration of your eye gazing. 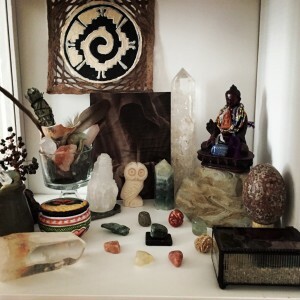 Sacred space honors your spiritual connections across all dimensions and is really a foundational component to any healing endeavor.